I love my career. I’m not sure everyone gets to say that about their work, but I really mean it. I’m thankful every time I press the shutter. I’m grateful every time a couple invites me into their lives. I’m still awestruck that I get to do this for “work”. 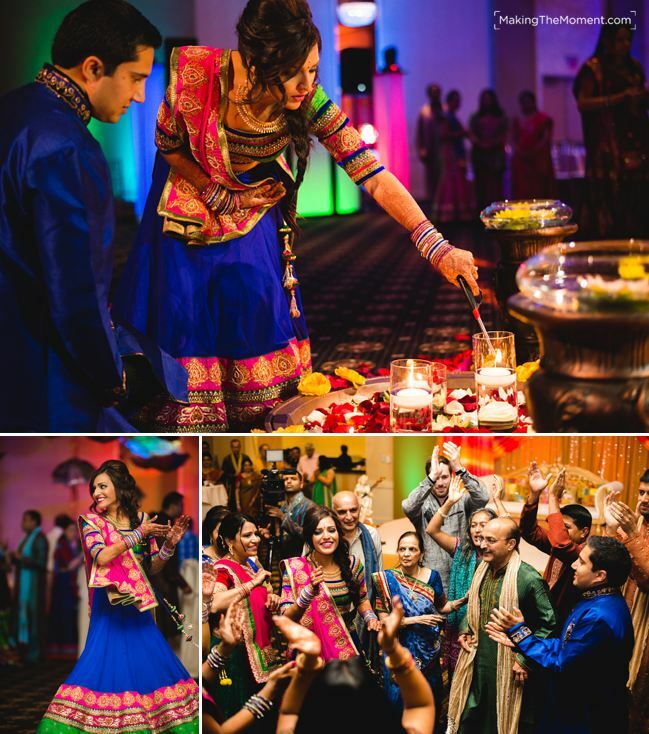 I really really liked her, and I LOVE me some indian weddings. They’re fun, colorful, frantic, and full of joy. They’re kind of like my two year old daughter Pearl actually. 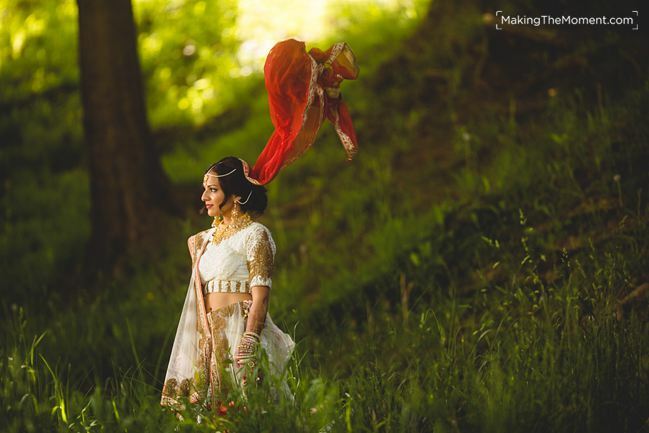 But despite my love for Indian wedding photography, we had a problem. 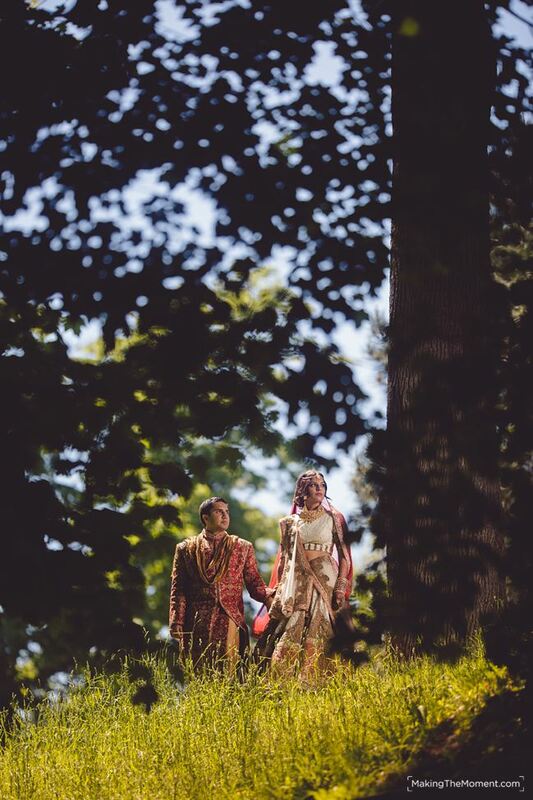 “My wife is due with our baby on your wedding weekend, and I can’t possibly risk not being their for my family, so I’m afraid I can’t let you book me” I had told her. “I’m a doctor, most women don’t go on their due date anyways, so I’m willing to take the risk. 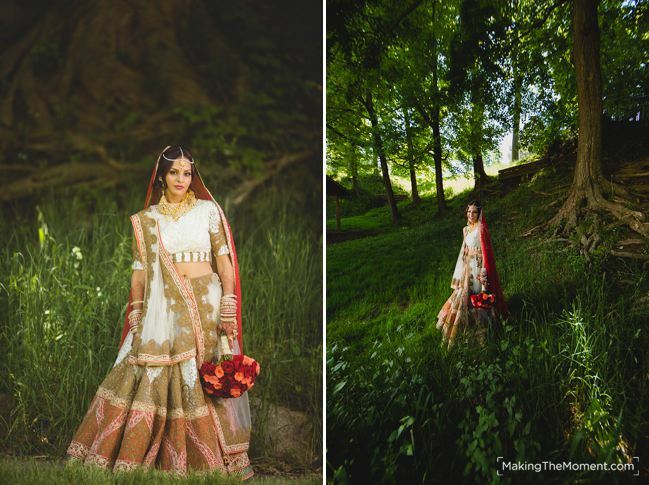 It’s worth it to us – we really love your work” she told me. And that’s where this story is cool – this couple was willing to gamble because they enjoyed my work so much. How cool is that? I’m still blown away by that. It’s this sort of trust and faith that really means so much to me as a creative. 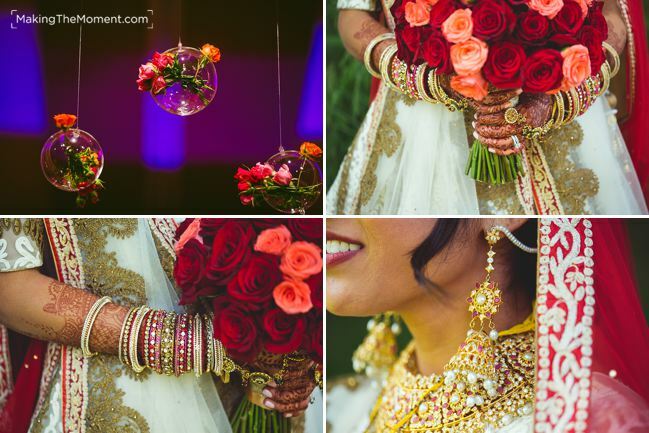 I mentioned my love for photographing Indian weddings. Mostly it’s the people – but it’s also the pageantry. 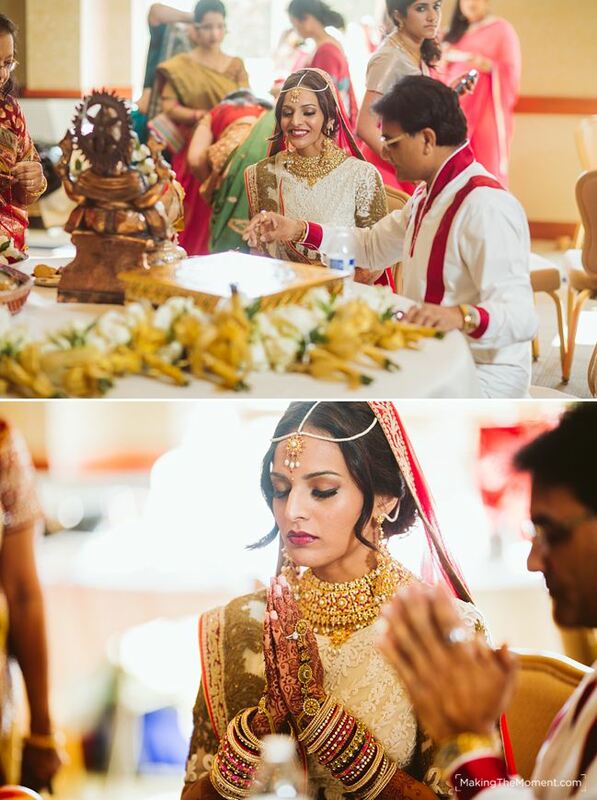 I love all the cool colorful ware that my Indian couples wear. 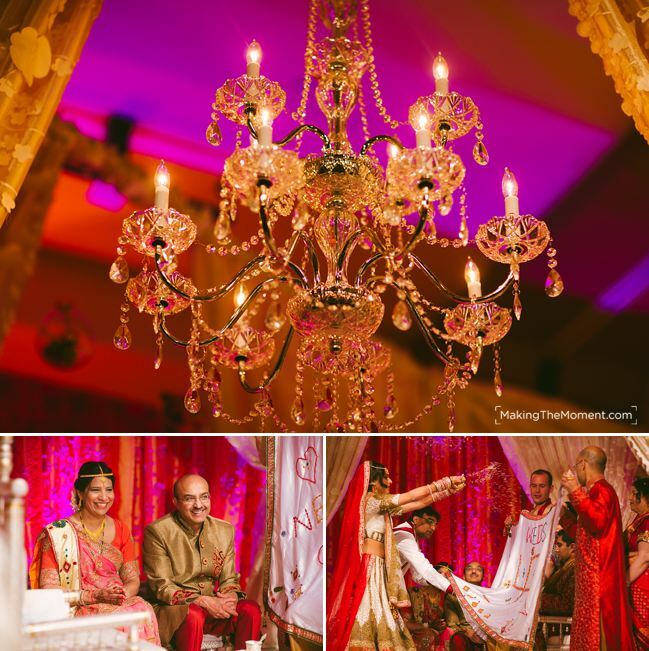 Neha’s Indian Wedding at Lacentre was scheduled to start at 9 am – which is pretty typical for our couples during our weekend coverage. 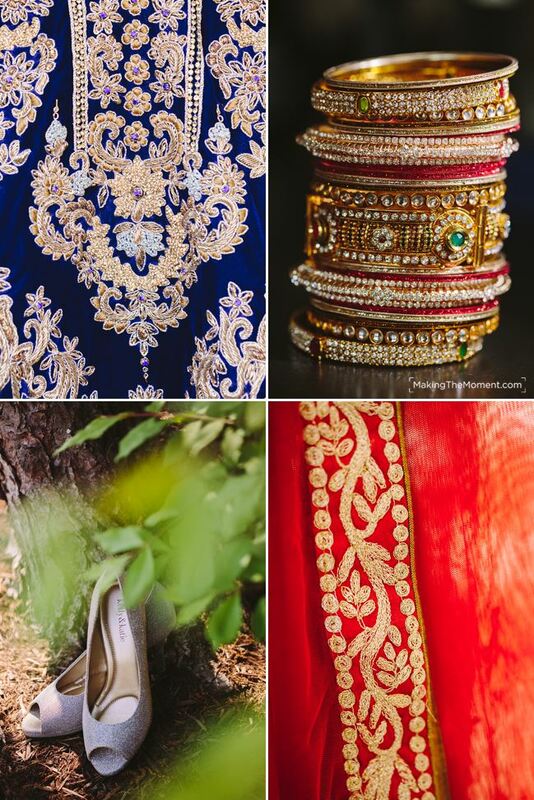 Given that we love photographing the details and adornments so much, we asked Neha and Arun to bring in their various outfits and such a few days prior. It gave us time to focus on things around our office in westlake. 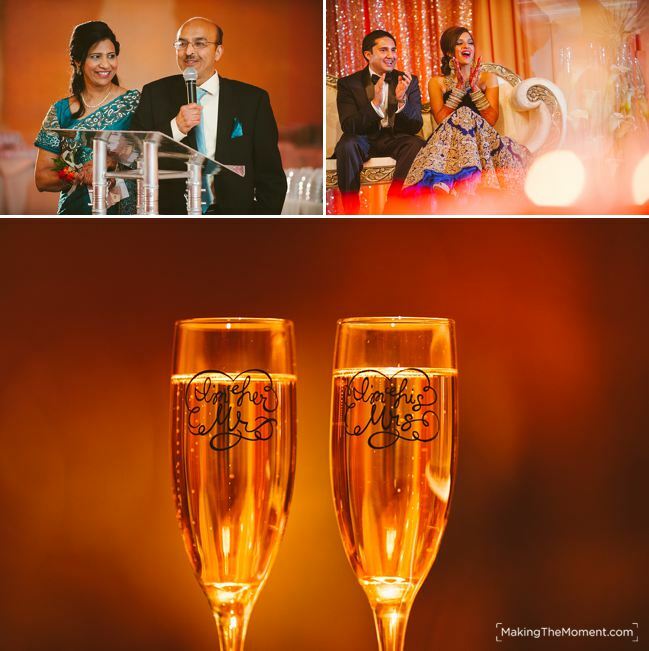 Our photography coverage for them didn’t just span their wedding day – we were also invited to photograph their Sangeet at LaCentre the night prior to their wedding. 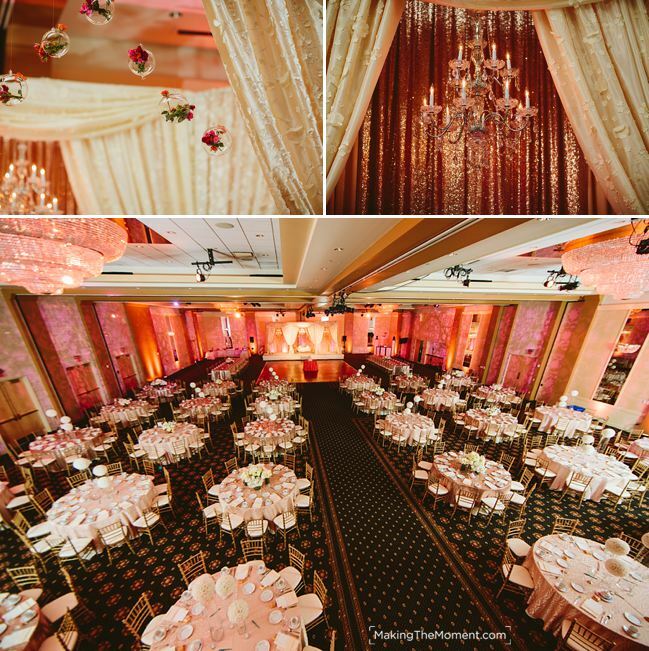 What a fun night – I love the parasol decor. 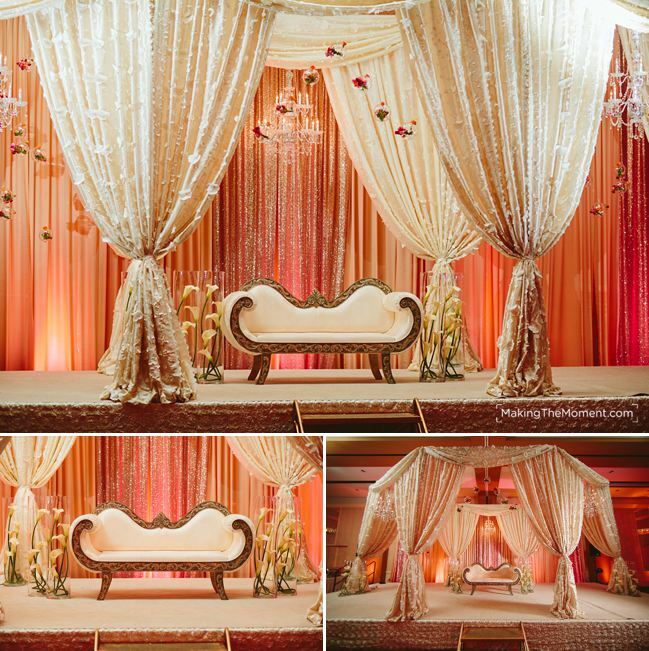 I love Neha and Arun’s Mandap. Seriously. How awesome is this? 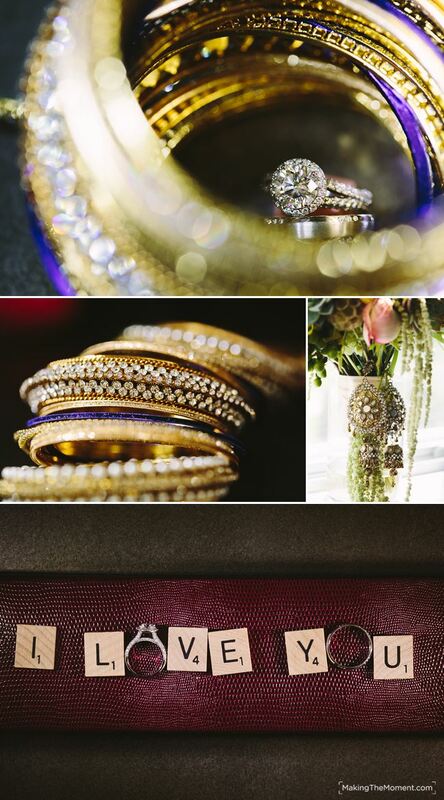 It’s really wonderful to see the artwork and craftsmanship that was put into their wedding. 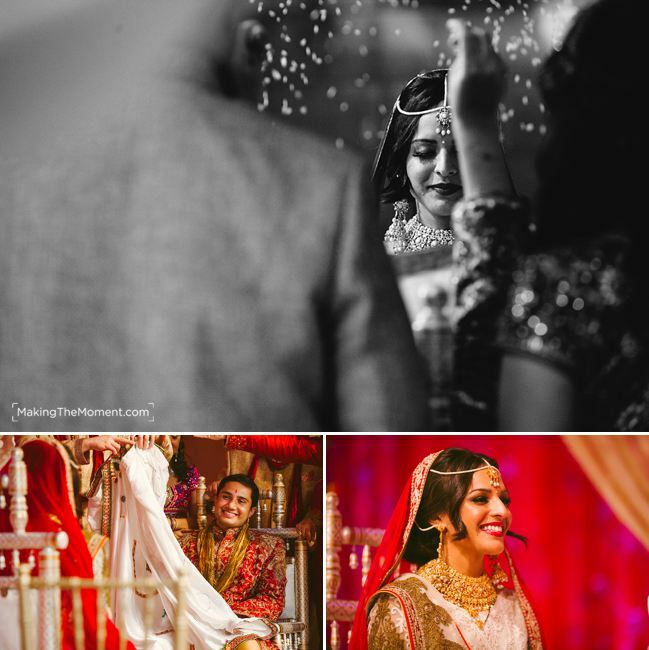 I think that’s because these two are very serious about their love – and their families really reveled in celebrating over that love. 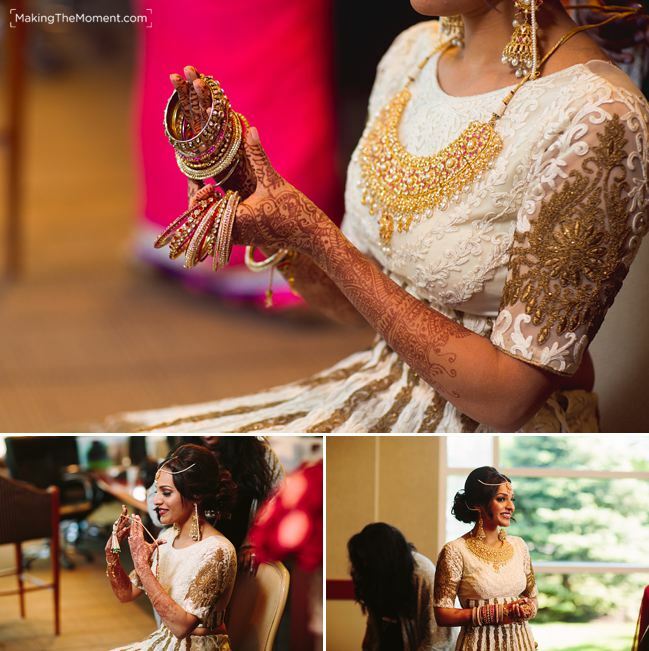 The above is from the pre-wedding ceremony that Neha and women had prior to the ceremony start. 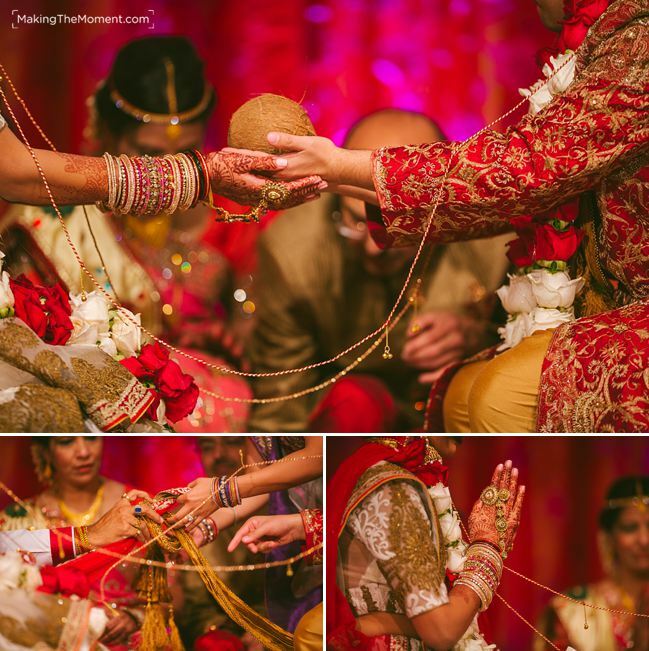 I love this about Indian weddings – there is so much tradition, prayer and family encouragement that happens. 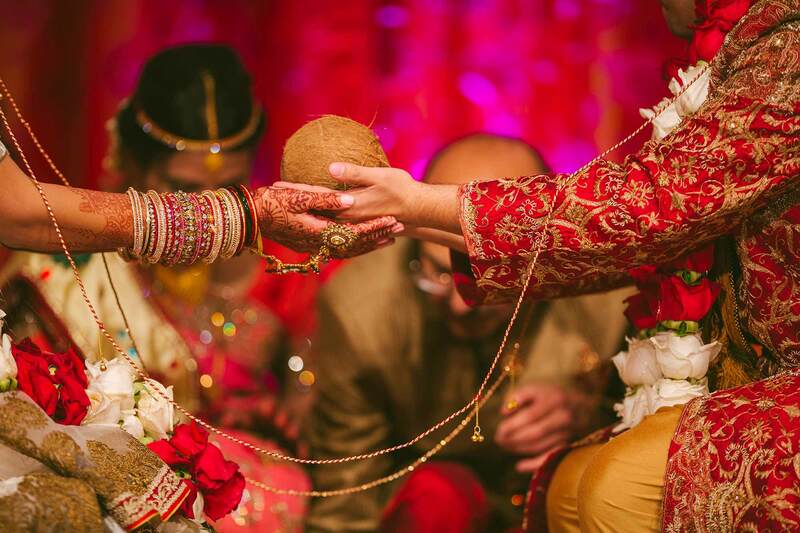 You know what else I love about Indian weddings? 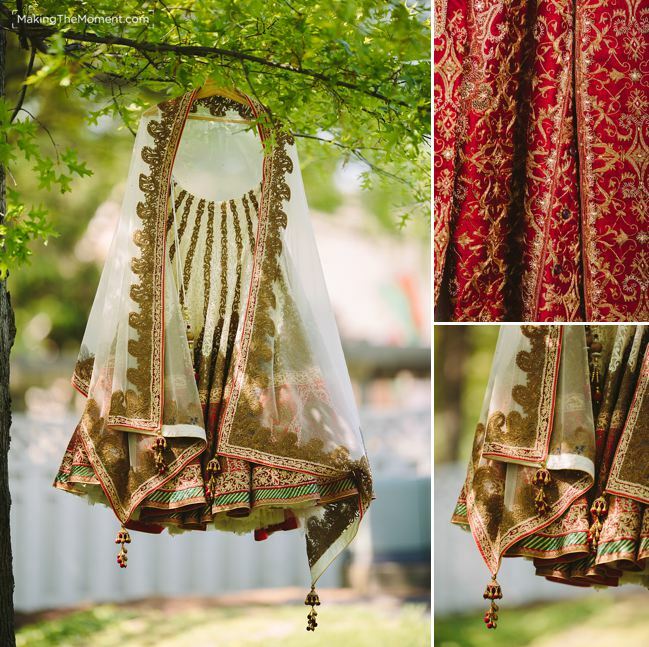 The Barat. It’s such a fun part of the morning. 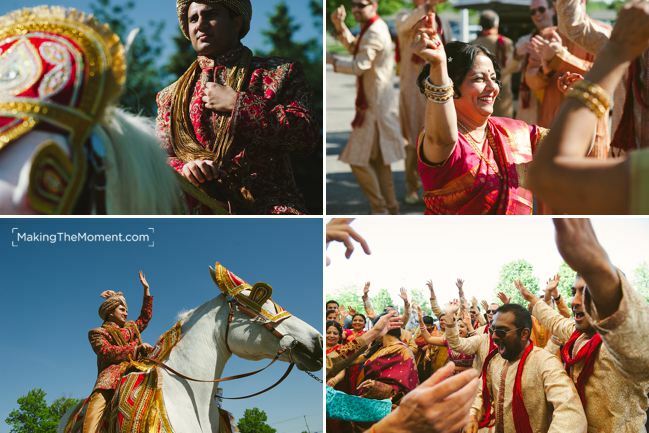 The groom rides in on a horse (at least in cleveland where you can’t quite pull of the elephant) amidst a parade of family friends. I wish I had come in on a horse on my wedding day. How crazy good would that have been?? Check out the dichotomy happening here. Neha is just outside the doors at LaCentre partying it up – and ever-so-elegantly Neha is finishing dressing in the other room. Love that. I love watching them seeing each other for the first time. 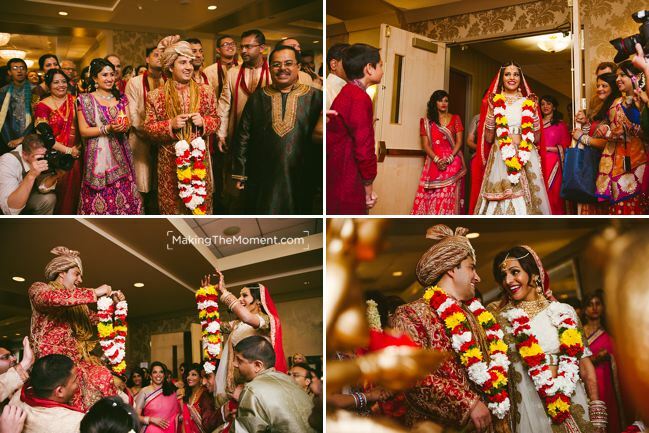 Everyone is there too – And then the two greet each other up in the air while throwing rose petal garlands around each others necks. That’s so cool. 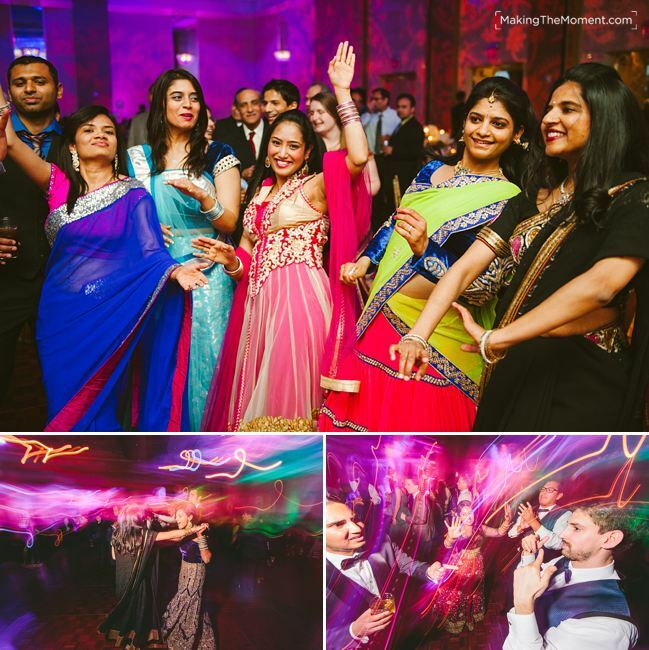 Another thing I love about Indian weddings (I have a long list ok?) 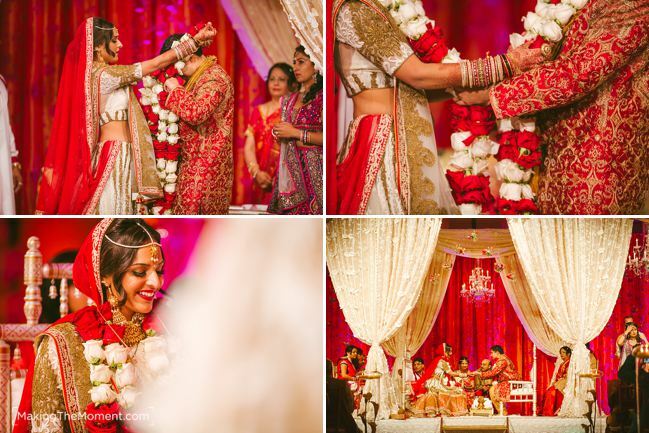 is that their parents are up on the Mandap (roughly similar to the altar in a typical american wedding). I love how family oriented and “joining together” that is. You just don’t often see that. I love that. I also love that they throw rice at each other. That’s fun. Probably tasty too. We took them to a few local cool places I’ve found for good photography in the westlake area. 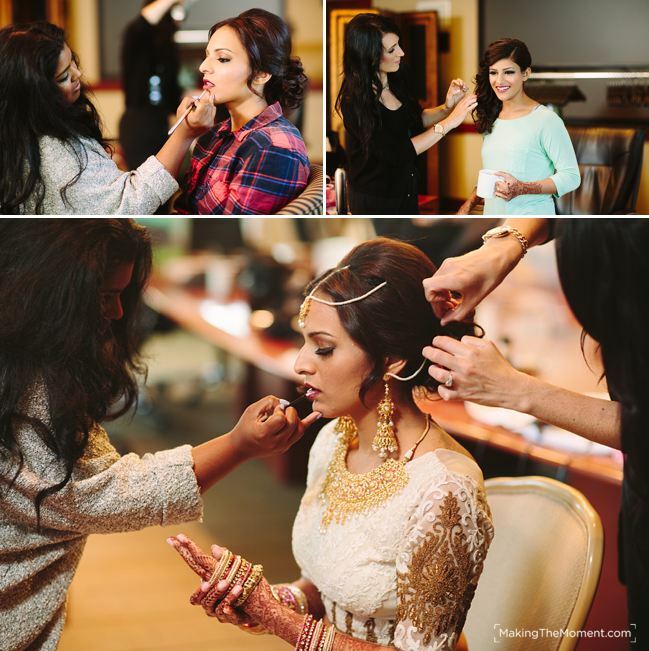 I loved working with Neha – she’s a natural in front of the camera. 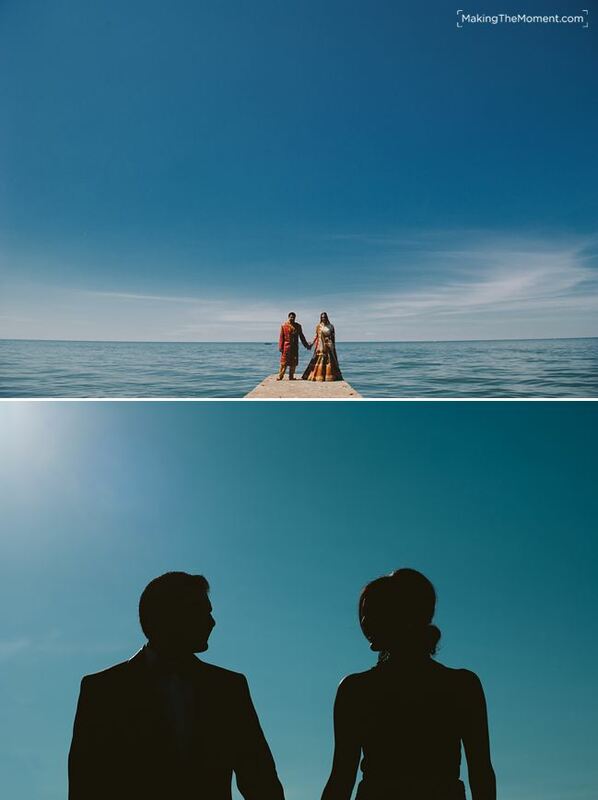 One of my favorites from their wedding day – I love this image. Many thanks to Sara who nearly broke her neck helping me make this happen. Sometimes I push the envelope of drama and elegance in my imagery – other times my work is more playful. It’s always a function of my perception of the couple and who they are – an interpretation and visual recording of their personalities. 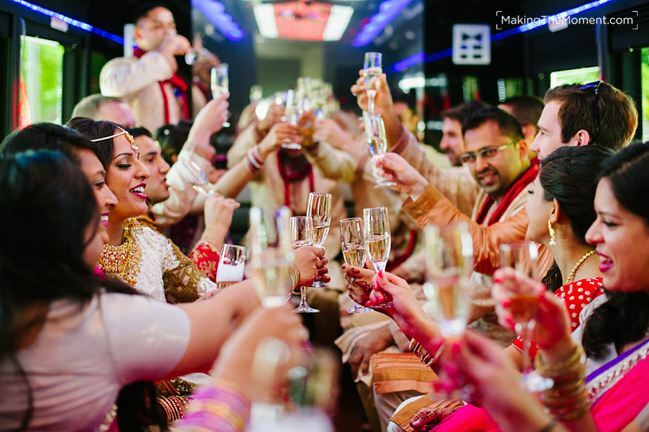 But despite a serious side, I know people are dynamic – and I like to ensure the images reflect their kindness and friendliness too. I enjoy their creative set immensely. I’m so happy we had time to pull these off. 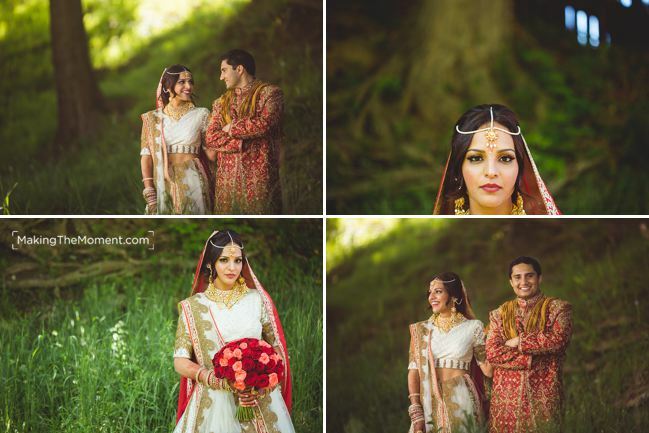 In the afternoon Neha and Arun took some time and changed into clothing for their reception. I like that. 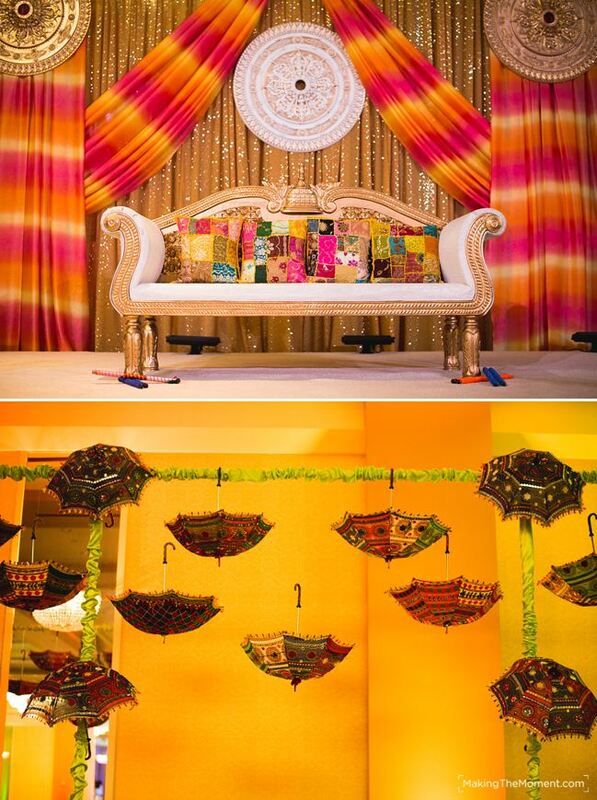 That’s another typical element of Indian weddings that I think would be fun to see in american wedding culture. 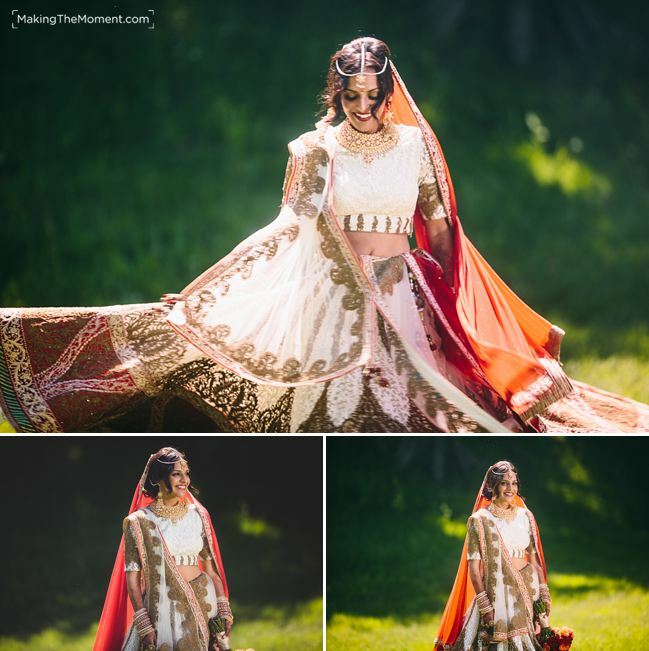 Sometimes brides change into a “reception dress” – which I think is a pretty cool trend, and is something of what this is. I just think it’s so neat to see such a dynamic shift in how a couple appears over a day. 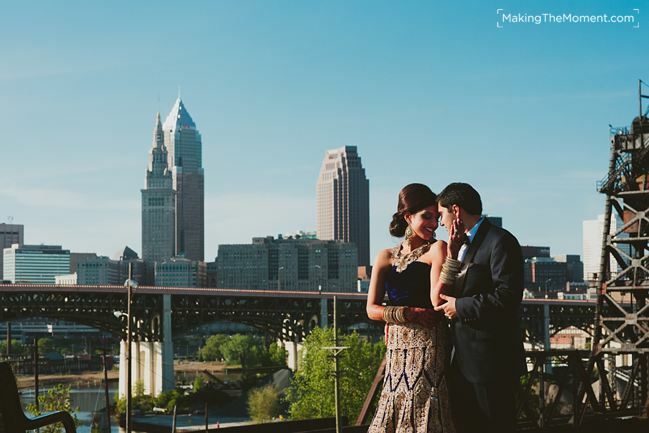 After finishing up our creative session around cleveland, we went back to LaCentre for their wedding reception. The staff at LaCentre did an AMAZING job of changing things over – the transformation was amazing to see. 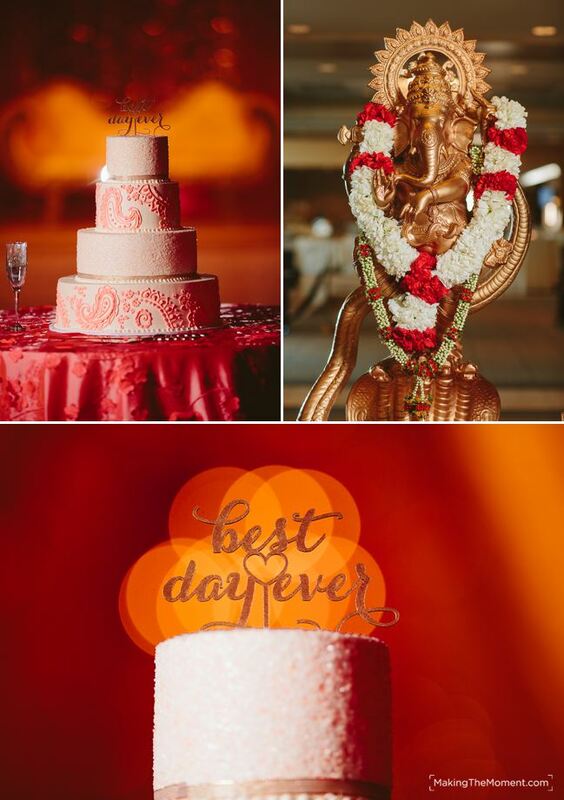 I’m a huge fan of this cake top shot – the bokah that the lights from Neha’s mandap chandelier create is so cool. 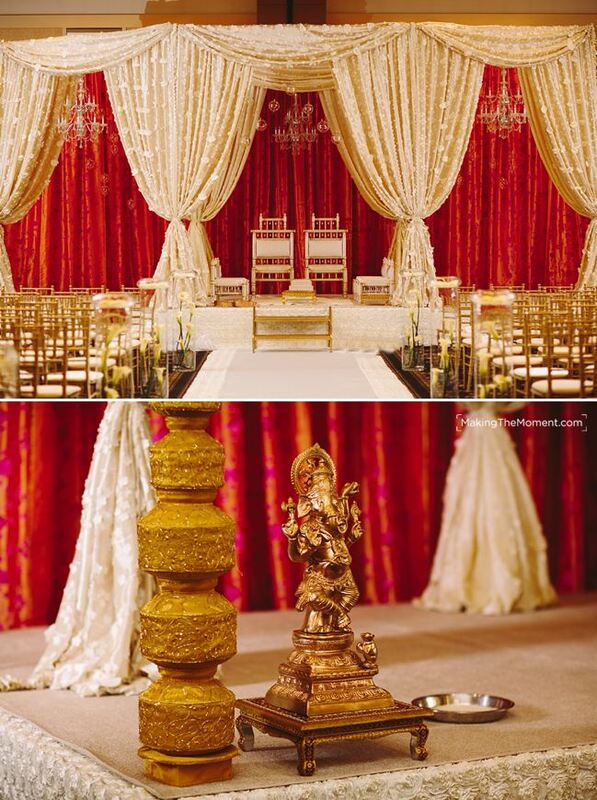 Speaking of the Mandap – check out the change. I love their new couch. The two separate chairs were replaced with something that was joined together for them. Pretty cool imagery. 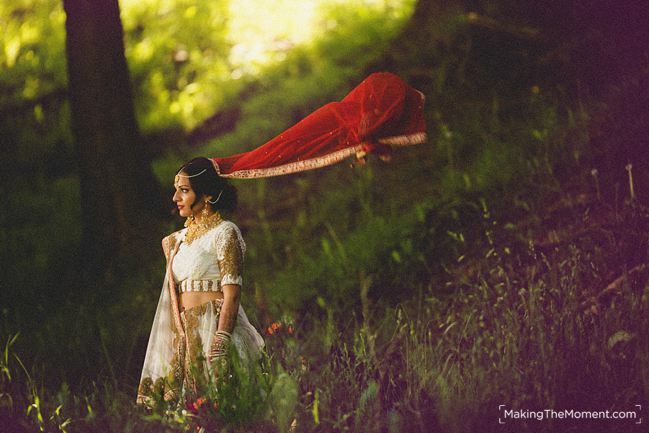 To my friends Neha and Arun; I’m SO thankful that we could create this artwork together. Thank you so vey much for being so fun and so cool throughout everything. Much love to you two – I cannot wait until my next trip to Chicago to hang with you and see your new home! !